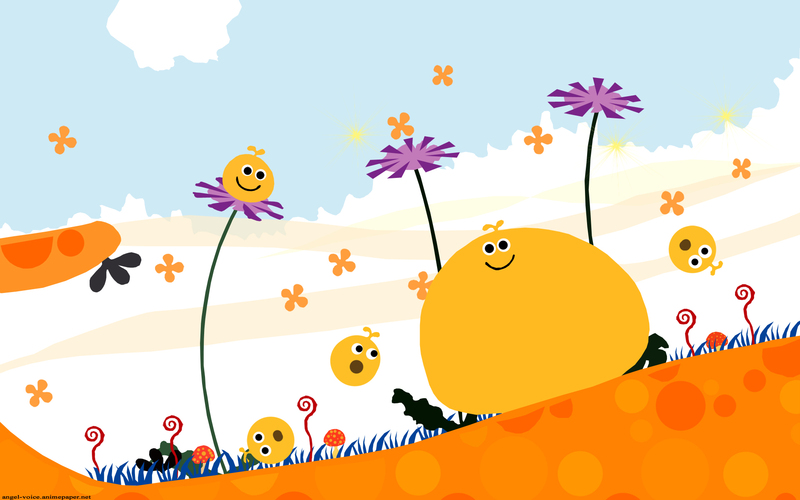 LocoRoco Wallpaper: Let it Roll !!!! Minitokyo »	LocoRoco Wallpapers » LocoRoco Wallpaper: Let it Roll !!!! The little things missing were done this evening [tiny](can you imagine how long one single blade of grass can take by just using the right hand with a splint? )[/tiny] including the sky and the mushrooms. Mmmh, to be true I don't really know what to say about this wall. Totally forget that here is not category for this. You should try it cause it's crazy, it's colorful, it clearly rocks! Hmm... This is from that game on PSP right? I don't know if it's done on purpose but your edgy vector makes it look like a child's drawing and kind of enhances the cute look for me. this is so cute.. I really wanna play the game but i didn't have a psp ._. Nice work xD jus wondering whether you rough vector is done purposely or..
Nice concept, I really like the final result. J'adore ce jeu, il est vraiment trop bien. Merci pour l'image !